Josep Pou received the B.S., M.S., and Ph.D. degrees in Electrical Engineering from the Technical University of Catalonia (UPC). He graduated first in the Bachelor graduating class, received the Master Degree with honours, and was awarded the outstanding Ph.D. Thesis Award at UPC. In 1990, he joined the faculty of UPC as an Assistant Professor, where he became an Associate Professor in 1993. From 2003 to 2007, he was Director of the Power Quality and Renewable Energy (QuPER) group, and from 2007 to 2013 he was Director of the Terrassa Industrial Electronics Group (TIEG), both research groups at UPC. From February 2013 to August 2016, he was a Professor with the University of New South Wales (UNSW), Sydney, Australia. In UNSW, he was technical research stream leader for the Solar Flagships Program Research Agenda, the result of AU$19-million investment from the Commonwealth Government of Australia in world class laboratories developed to study solar power conversion and its impact on the grid. He is currently an Associate Professor with the Nanyang Technological University, Singapore, where he is Program Director of Power Electronics at the Energy Research Institute @ NTU ([email protected]) and co-Director of the Electrical Power Systems Integration Lab @ NTU ([email protected]), the electrical Rolls-Royce lab on NTU campus. He spent two sabbatical years (2001 and 2005) as a Visiting Professor at the Centre for Power Electronics Systems, Virginia Tech, USA, and one year (2012) at the Australian Energy Research Institute (AERI), UNSW, Sydney. Since 2006, he has collaborated with Tecnalia Research & Innovation as a research consultant. He has authored over 230 published technical papers, is a co-inventor of 7 patents, and has been involved in several industrial projects and educational programs in the fields of power electronics and systems. He has authored one chapter of the book “Control Circuits in Power Electronics: Practical Issues in Design and Implementation,” (Ed. IET). He has received 6 scholarship and fellowship awards, including the prestigious Endeavour Research Fellowship Award, sponsored by the Australian Government. He is IEEE Fellow, and Associate Editor of the IEEE Transactions on Industrial Electronics and the IEEE Journal of Emerging and Selected Topics in Power Electronics. He was Invited Editor of the Special Section on Hybrid Multilevel Converters for the IET Power Electronics. 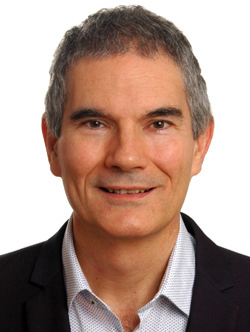 Josep Pou research interests include modulation and control of power converters, multilevel converters, energy generation from renewable sources, energy storage, power quality, HVDC transmission systems, and more electric aircraft and vessels.